There are trillions of cells in our bodies. There are so many things that are still to be discovered in our body. It is still a mystery and no one knows fully what lies in it. The body of human beings performs the most evolved functions with the numerous organs that are there in the body. Every organ in the body is of vital importance and has some or the other functions to perform. Any trouble with one organ can lead to health problems that may also affect negatively the other organs that are surrounding it. At some or the other point in our lives, there is a chronic condition that occurs and our health is compromised. One such disease that is a lifelong condition is Diabetes. It is a silent killer disease in which, the blood glucose level of the body is very high and there are complications that happen due to this. This disease is such a menace that if it is not tackled at the right time, then it may lead to complications and have detrimental effect on the vital organs of the body like heart, kidneys, eyes, kidneys etc. 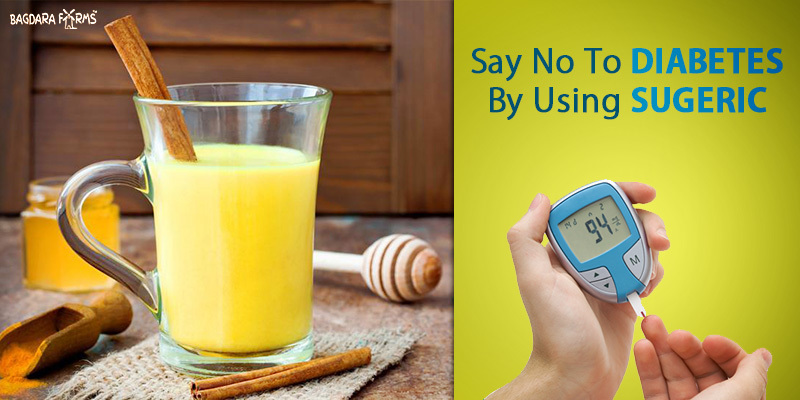 Diabetes can also cause problems in the digestive system, nerves, gums and teeth. The wonder spice called turmeric is a very important ingredient that has been used in traditional medicine and it has some amazing pharmacological properties. It is a golden herb and has some excellent golden qualities that make it effective for prevention and treatment of many diseases. It has some superb properties owing to the curcumin content in it, which is the bioactive ingredient of turmeric. 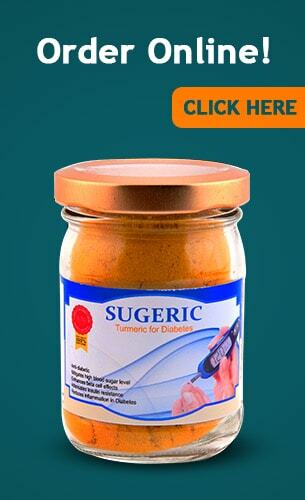 Sugeric has amazing anti-inflammatory properties. With a high curcumin content, Sugeric is an excellent antioxidant. It also proves to have analgesic tendencies and is an effective painkiller. It helps to modulate and protect the immune system with its immunomodulatory properties that make it effective to tackle diabetes. Totally free from harmful pesticides and fertilizers that create havoc in the body. Sugeric helps in the best way to boost the immunity of the body. Since it is an antiseptic and anti-microbial agent, Sugeric helps to fight infections, which are quite common in diabetic patients and can also lead to many other complications. Sugeric is also amazing at improving the condition of diabetic retinopathy that is a condition of the eyes. Sugeric also helps in a major way to put digestive problems that occur in diabetics to rest and improves the gastrointestinal system. Sugeric with its high curcumin content is helpful to prevent mineral loss in the bones so that they do not get weakened. Sugeric is the one-stop solution for all your diabetes woes and it comes from Bagdara Farms that means it is a totally organic product that does not have any harmful chemicals mixed in it. Well, why are you still thinking? Order this fabulous product right from the lap of nature and ensure a healthy life free of diabetes for yourself. You will give yourself a great gift of good health. Even for your family members who have been suffering from diabetes for years, Sugeric will prove to be very beneficial as there are no side effects of this product.